Carnegie Mellon University (CMU) researchers have created a self-healing material that spontaneously repairs itself under extreme mechanical damage, similar to many natural organisms. 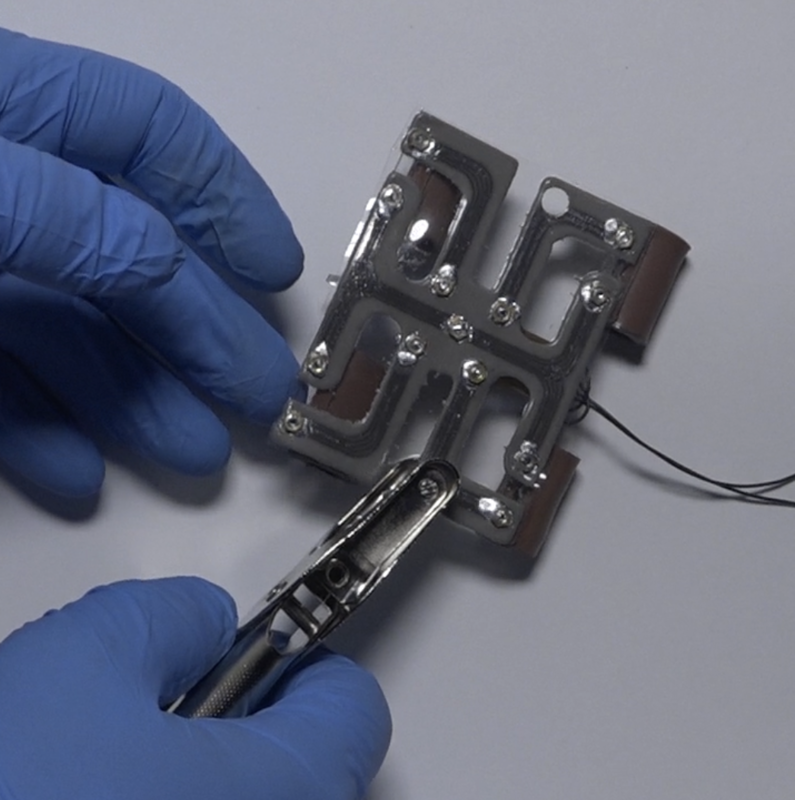 Applications include bio-inspired first-responder robots that instantly heal themselves when damaged and wearable computing devices that recover from being dropped. The new material is composed of liquid metal droplets suspended in a soft elastomer (a material with elastic properties, such as rubber). When damaged, the droplets rupture to form new connections with neighboring droplets, instantly rerouting electrical signals. Circuits produced with conductive traces of this material remain fully and continuously operational when severed, punctured, or have material removed. The self-healing material also exhibits high ability to conduct electricity, which is not affected when stretched. That makes it ideal for uses in power and data transmission, as a health-monitoring device on an athlete during rigorous training, or an inflatable structure that can withstand environmental extremes on Mars, for example. Reference: Nature Materials. Source: Carnegie Mellon University.